I haven't taken pictures of myself like this in a while. 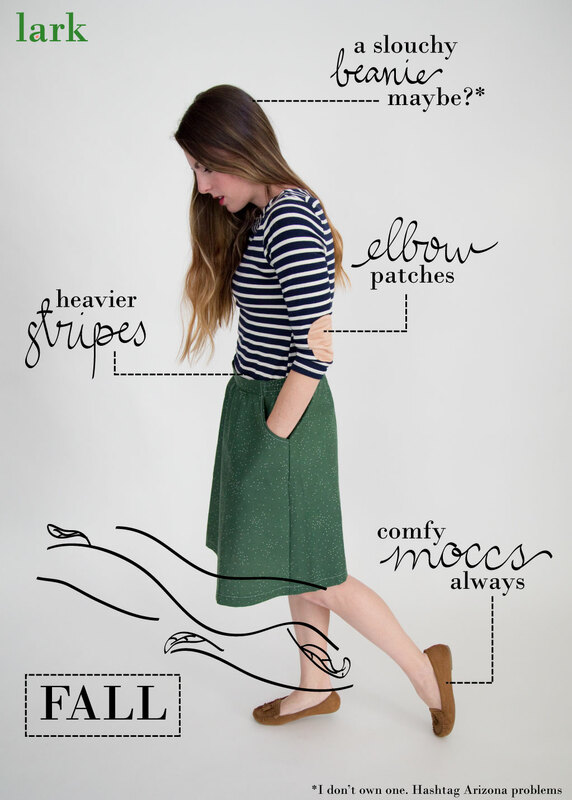 But, as it turns out, style blogging is a bit like riding a bike. 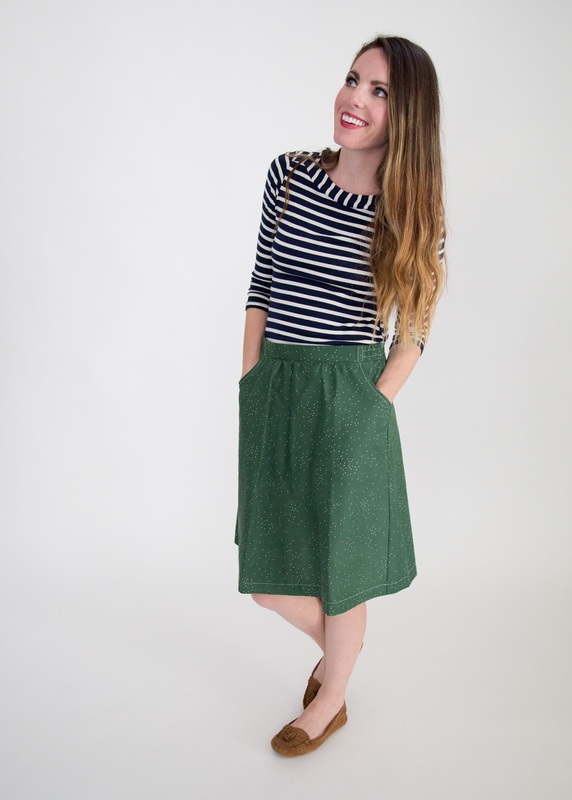 Which is good because somebody's gotta take pictures of my skirts and I happened to be available. And affordable. 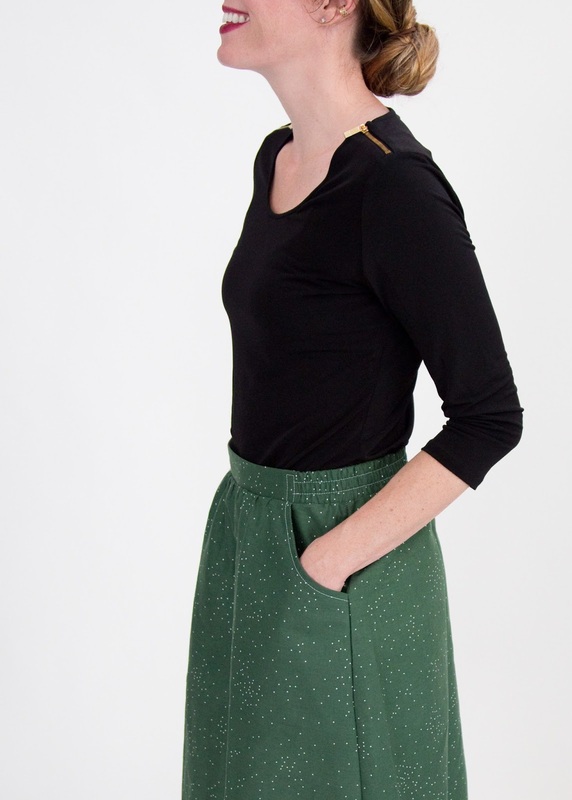 Lark is releasing a new skirt each month in 2017 and this lovely green number went up in the shop this morning for the month of March. 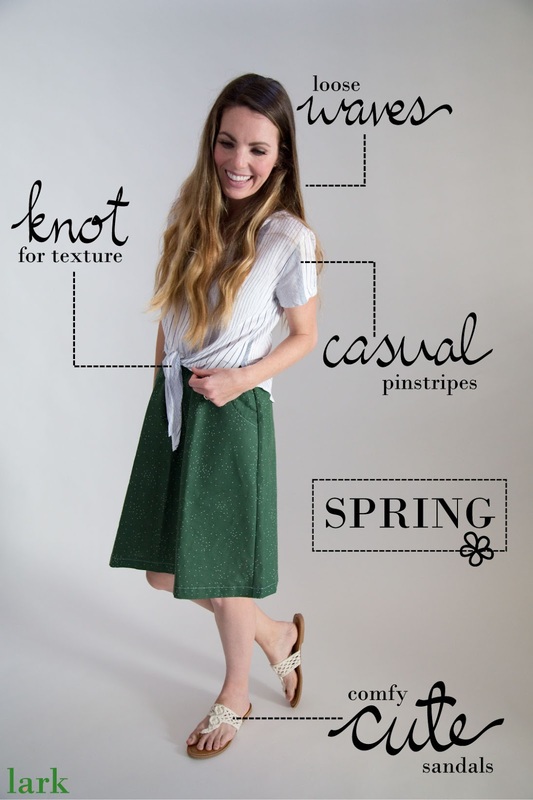 Some of my skirts are a bit more seasonal but I think this one works year round so here are some styling options for spring, summer, fall and winter! Those blue pinstripes!! So good. 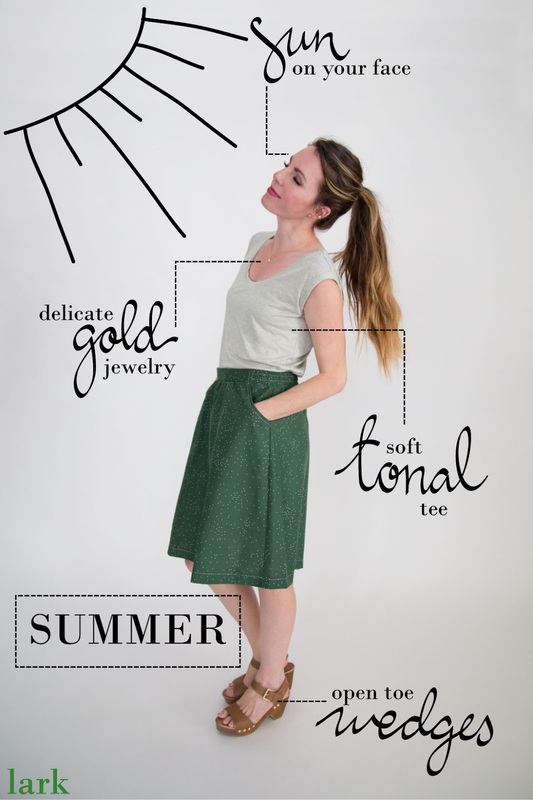 And YES all my shirts are from TJMaxx because that's where I went the other day to find styling options for this skirt. They're all recent and under $20, because that's how TJM rolls (bless them), so you might be able to find them if you go look! I tried to find the brands online and give links to the exact styles but my Google searches came up surprisingly empty. That's what happens with no-name brands, I guess. But TJM is really good right now! If you have one local, it might be worth your time to pop in. I love these pictures, you look beautiful! 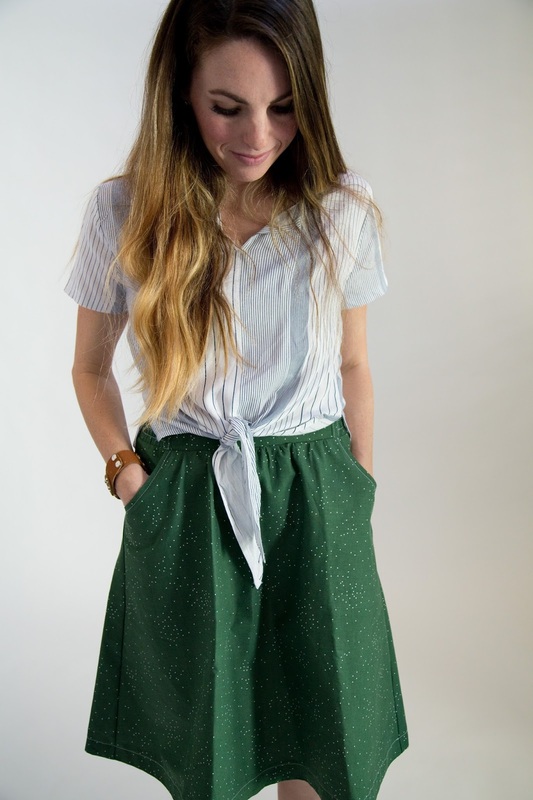 Also, I think you've convinced me to get the skirt once I get paid.